Scientists from the VIB-UGent Center for Inflammation Research identified the mechanisms by which the bacterial pathogen Clostridium difficile kills intestinal epithelial cells (IECs), thus destroying the protective mucosal barrier of the intestinal tract. The researchers demonstrate the physiological relevance of this process during infection and have published their findings in Nature Communications. The bacterial Gram-positive pathogen C. difficile is a major healthcare-associated infection that can cause pseudomembranous colitis in patients following antibiotic treatment, and the main contributor of gastroenteritis-associated deaths in the US and Europe. 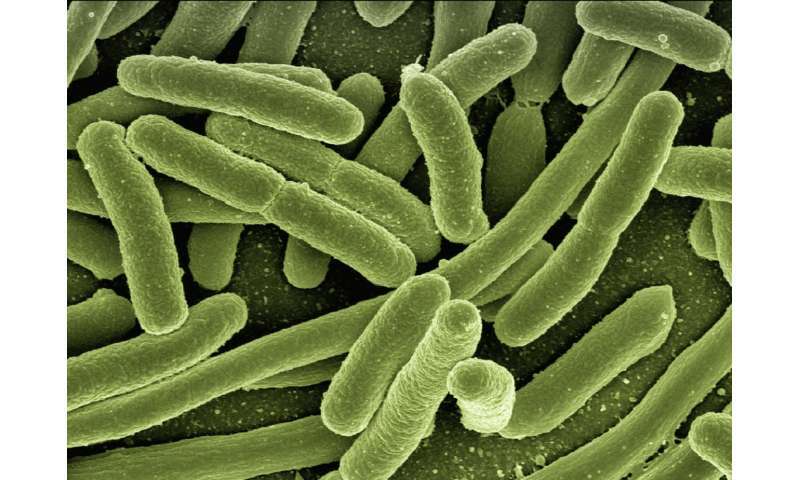 The bacterium produces two secreted toxins that induce a cytotoxic response in intestinal epithelial cells (IECs) that form the protective mucosal barrier of the intestinal tract. However, the underlying mechanisms of this host-pathogen interaction were unclear, and it was unknown whether this cytotoxic response played a protective or detrimental role to the host. The VIB-UGent scientists have used a combination of state-of-the-art mini-gut systems that were grown ex vivo from isolated intestinal epithelial stem cells. They combined the results of studies in these ex vivo cultured organoid systems with in vivo infection studies in transgenic mice in which key host genes were specifically deleted in the gut epithelial layer while leaving expression in other tissues intact. This allowed them to dissect the mechanisms underlying the molecular interactions of C. difficile with the host's intestinal barrier and to establish how this process contributes to pathogenesis. It was known that C. difficile exotoxins induce an inflammatory type of cell death termed pyroptosis in immune cells via activation of the Pyrin inflammasome. However, C. difficile primarily targets IECs during infection, but how this cell type is killed by C. difficile toxins has been unclear. First author Dr. Pedro Saavedra (VIB-UGent) explains: "By systematically deleting key genes involved in cell death processes in IECs, our work clarifies that—unlike in myeloid cells that undergo pyroptosis—C. difficile exotoxins induce apoptosis in IECs. Following this basal observation, we were left with two main questions: how did the same toxins mediate distinct cell death modes in a cell type dependent context, and what is the physiological impact of IEC apoptosis during infection?" Pursuing these questions, the scientists discovered that Pyrin, a key immune sensor that triggers fast induction of pyroptosis in myeloid cells upon C. difficile infection, is not expressed in IECs thus prioritizing the slower apoptosis process as the default cell death response in IEC. "To answer the question of how relevant apoptosis is during infection, our collaboration with the group of Prof. Peter Vandenabeele (VIB-UGent), which generated mice deficient in apoptosis specifically in IECs, was crucial," says Dr. Saavedra. "In vivo infection studies revealed that IEC apoptosis protects the host against C. difficile infection. This result was initially very surprising to us, as we expected that preventing cell death would protect the host from the detrimental outcome of intestinal epithelium damage. Although our results demonstrated unequivocally that the gut epithelium undergoes apoptosisas a defensive response to C. difficile infection or exposure to the exotoxins, there are still major questions open. By tackling and understanding these basic processes, the team hopes to pave the way for the development of therapeutic strategies that broadly target gastrointestinal pathogens such as C. difficile by enhancing the host's defensive responses."